The expansion of urban areas around the world has increased the number of impervious surfaces such as sidewalks, roofs, and roads. When it rains and the resulting stormwater hits the ground, these impervious surfaces can have negative impacts on both the surrounding community and environment. When water can’t be absorbed into the ground, it may cause flooding of roads and other infrastructure. When stormwater travels over impervious surfaces, it also picks up pollutants from the ground and transports them into local waterways. Seattle’s Thornton Creek, like many urban waterways throughout the country, has become degraded with pollutants from the rapid urbanization that has led to increased impermeable surfaces and reduced natural ability to filter stormwater. Climate change is already making this problem worse. The increased occurrence and intensity of rainfalls has increased the flow of polluted rainfall into our waterways. Salmon have been coming to these creeks and lakes for thousands of years – and with increasing pollution, more salmon die before they get the chance to spawn. People are also feeling the impact, with homes that have been built along the creek are now prone to flooding during rainstorms due to increased creek flows. 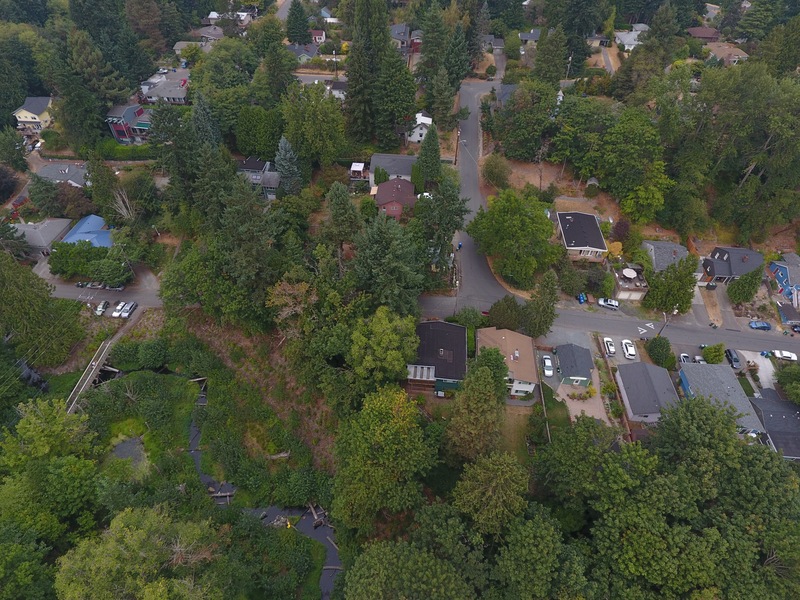 To address stormwater issues at Thornton Creek, a team of researchers came together through the leadership of Seattle Public Utilities (SPU) to test an innovative solution for stormwater management – a constructed hyporheic zone. Naturally occurring hyporheic zones provide many functions such as, filtering, cooling and cleaning stream water, as well as storage for water and habitat for fish, bugs and microbes (which are a significant player in breaking down pollutants and recycling nutrients). This was a design element of two floodplain reconnection projects that SPU constructed in Thornton Creek during 2014. The project team members included Katherine Lynch (Seattle Public Utilities, Senior Environmental Analyst), Ed Kolodziej (UW faculty), Kathy Peters (UW postdoc), Skuyler Herzog (IU postdoc, formerly at Colorado School of Mines & ReNUWIt), and Paul Bakke (Fluvial Geomorphologist, US fish and Wildlife Service). The research goal was to test whether a constructed hyporheic zone was able to improve the water quality of a highly impacted urban stream. The hyporheic zone is often thought of as the “liver of the river” because of its pollutant removal capacity. Creeks naturally filter water by directing water into the hyporheic zone where fine sediments are filtered and pollutants from stormwater runoff are removed or reduced in concentration. 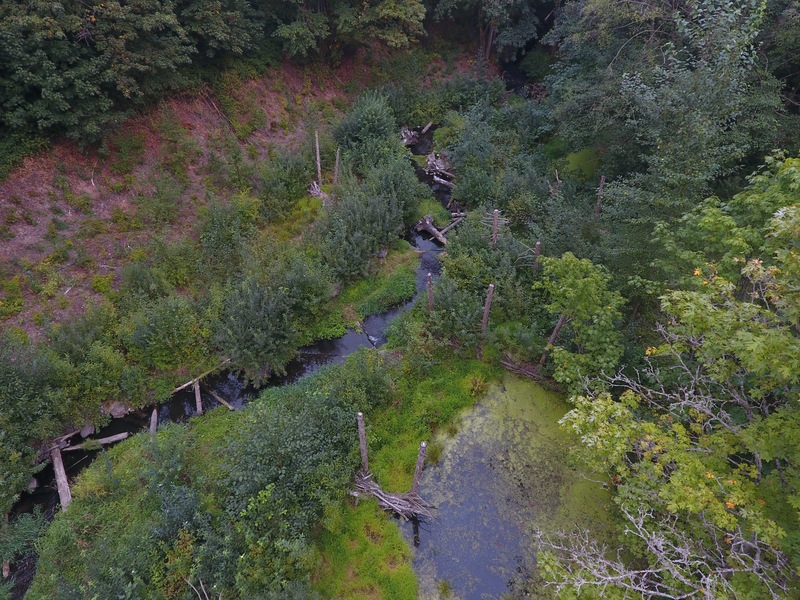 Onlookers who stroll through the Kingfisher project reach of Thornton Creek at NE 100th St and 20th Ave NE, will look at what seems to be naturally occurring logs, rocks, and sediments along the banks of the creek. In reality, the area is a carefully crafted project designed to restore the creek’s hyporheic zone and reduce flooding. 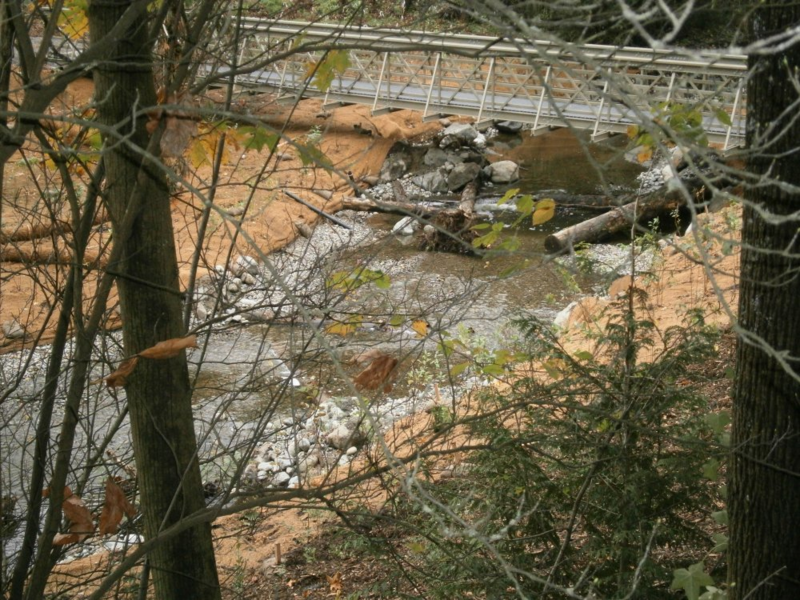 Specifically, the project buried logs, boulders and a deep layer of gravel/sediment filter media. Each log structure forces the water to go down into the hyporheic zone where it can be filtered by the gravel/sediment media. The design also forces water to stay in the hyporheic zone for a longer period to allow for further filtering. 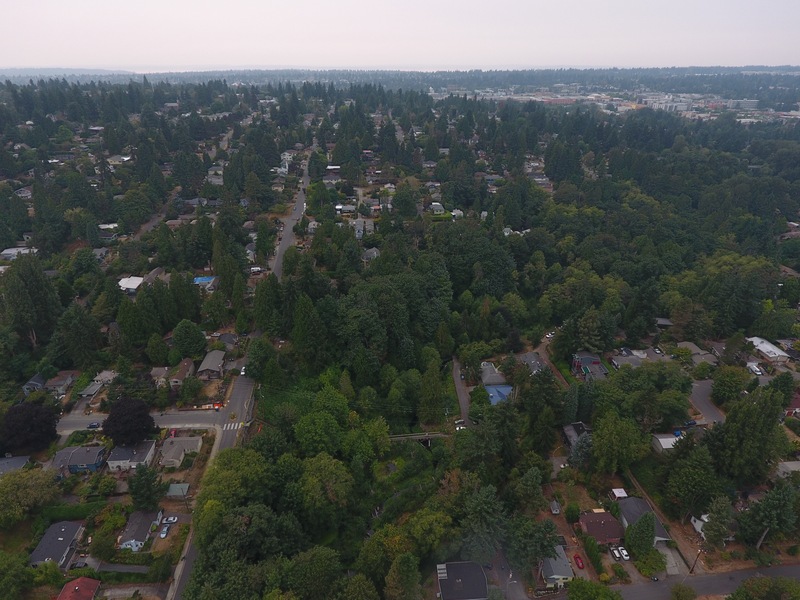 The researchers believe that the floodplain design may reduce or remove many of the pollutants that have been found to be harmful to salmon species and decrease flooding risk for the surrounding community. What makes this project successful is its three-pronged approach to mitigating pollution. It includes elements for flood storage, stormwater treatment, and habitat complexity. Those three components are salient for comprehensive rehabilitation of urban streams. To fix the poor state of our water ways we must invest in truly groundbreaking projects. Kingfisher is one of those projects with massive potential to make a difference, and it’s already showing tangible results. Preliminary findings show that hundreds of the organic stormwater pollutants found in Thornton Creek during a storm were reduced in concentration by over 50% by the hyporheic zone, including many that may be associated with coho prespawn mortality. 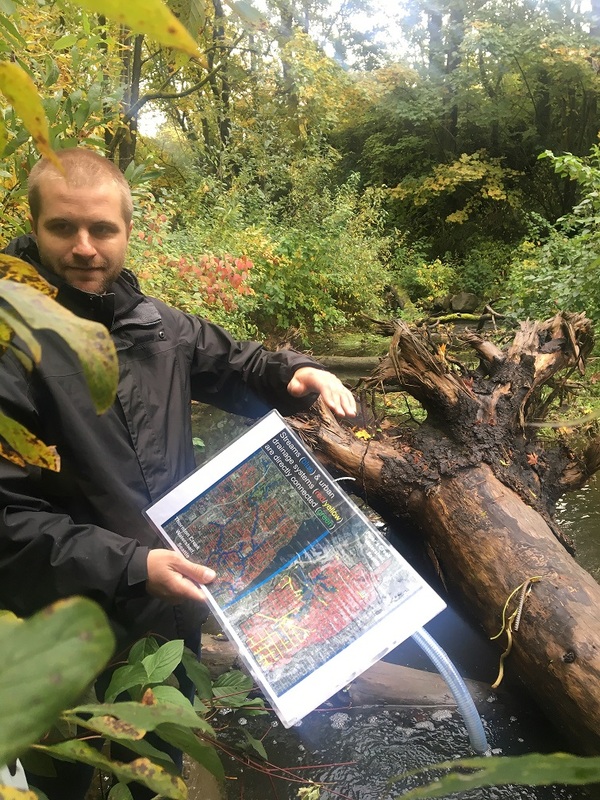 The researchers hope that the innovative designs at Kingfisher can be replicated in future stream restoration projects to reduce negative impacts from stormwater across the Puget Sound region.